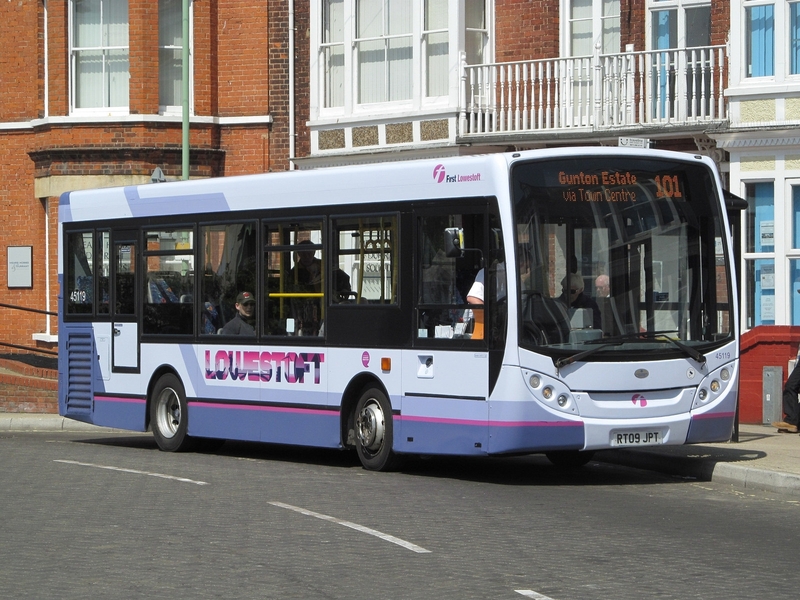 News today sees Lowestoft's short wheel base Enviro 200's 45116/7/8 all heading to First Glasgow. 45116 & 45117 have made the journey North with 45118 currently undergoing MOT at Yarmouth prior to making the trip to Scotland. Recent arrivals from First Berkshire 44531-3 have replaced them at Lowestoft. 45119 RT09JPT pictured in Gordon Road shortly after entering service with FEC in 2013. Thanks to Chris Speed at First for the Information.